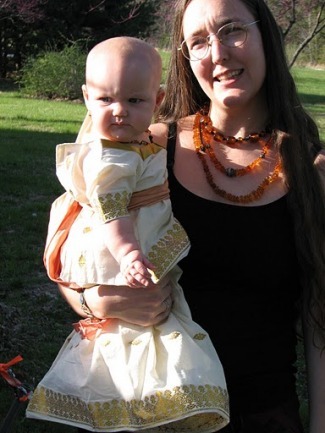 Aesa of Grove of the Seven Hills and her little Margaret. Then follow the directions from route 522 below. Stay on U.S. Rt. 522 South for about 20 miles. Stay on 522 North for about 20 miles. Stay on U.S. Rt. 522 South for 20 miles. At the Liberty gas station, turn east onto Reynolds Road. Go a few miles and turn right onto Morgan Frederick Grade. The campground is 1/2 mile down the road on the left.